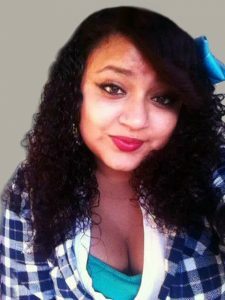 Alexus Nicole Zepeda, 17, entered into eternal rest on October 31, 2016. Alexus will be deeply missed by her loving family and friends. May God grant her eternal rest. She was preceded in death by her brother, Adrian Zepeda; cousin, Ronald Goscicki; great-grandmothers, Vivian White and Josie Cortez; and by her great-grandfathers, Harold White & Eleuterio Zepeda. Left to cherish her memory are her mother, Ellery (Abraham Reyes) Zepeda; sister, Josenya Brichacek; uncle, Alwood Zepeda Jr.; maternal grandmother, Kristie (Melvin) Jedlicka; maternal grandfather, Alwood Zepeda; father, Miguel Moran; aunt, Trini Goscicki (Jorge Trujillo); cousin, Kim Gutierrez (Rolando); and aunts, Mary Jo Leffers, Alice Stone, and Lillian Ortiz; as well as by numerous other loved relatives and friends. She was dearly loved and her spirit will be greatly missed forever and always. Visitation will be held on Saturday, November 05, 2016 from 5 to 9 p.m. at Joe Jackson North Funeral Chapels, where a Prayer Service will commence at 7 p.m. The Chapel Service will held at 9 a.m. on Sunday, November 06, 2016 at Joe Jackson North Funeral Chapels. Services will conclude after the service to proceed with her cremation. Arrangements have been entrusted to the care and direction of the funeral service professionals at Joe Jackson North Funeral Chapels, 1410 Jacaman Rd., Laredo, Texas 78041; (956)722-8850.